After one of the heaviest rainy seasons Los Angeles has seen, Principal Fraley has invested in creating a new walk way to prevent mud amassing on the senior lawn. This is just the first of many projects planned to update and develop the CSHM campus. Mr. Fraley has indicated that the work being done on the lawn will be, "A full beautification effort." A planter box will now be around the St. Phillip of Jesus statue and at the base of that planter box will be a semi circle for teams to pray at before games. This area will be lined by brick and have the school logo on it. A light will be added to the statue of Mary and the school will now have an emphasis of our patrons on the senior lawn. Now CSHM offers the opportunity to our community to purchase a brick for engraving around the CSHM logo at the base of St. Phillip of Jesus. Everyone who walks the campus will now be able to see a permanent representation of CSHM's dedicated alumni and benefactors! 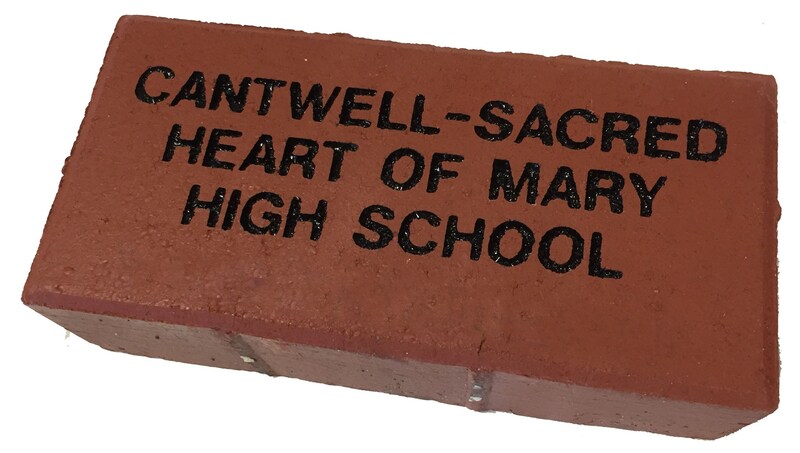 Proceeds from brick sales will benefit the CSHM tuition assistance fund. Please contact the Development Office for more details on brick purchases at cshmdevelopment@cshm.org.